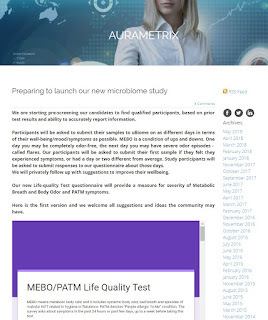 The Principal Investigator of the uBiome grant-funded MEBO research study, "Dynamics of the Gut Microbiota in Idiopathic Malodor Production", Irene Gabashvili, PhD., MEBO Scientific Director, has written a post about the study in her company's blog, AURAMETRIX. 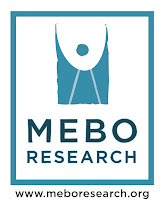 This post includes MEBO/PATM Life Quality Test, "MEBO means metabolic body odor and it includes systemic body odor, bad breath and episodes of malodor NOT related to hygiene or flatulence. 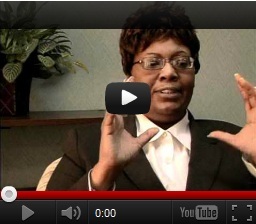 PATM denotes "People Allergic To Me" condition. The survey asks about symptoms In the past 24 hours or past few days, up to a week before taking this test." Anyone who may possibly be interested in participating in this study can get a better idea of what it entails and is welcome to take the first version of this Life Quality Test.